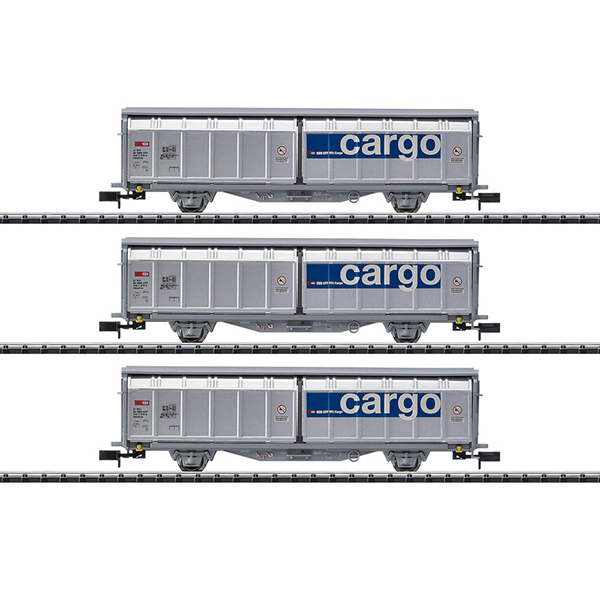 Prototype: 3 Swiss Federal Railways (SBB), Cargo Business Area, type Hbbillns sliding wall boxcars. Built starting in 1989. Use: Moisture-sensitive freight. Model: All of the cars have close coupler mechanisms and four sliding walls that can be opened. Total length over the buffers 291 mm / 11-1/2".